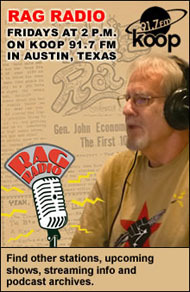 A feature on Gerding is included in ‘Celebrating The Rag,’ a book to be released during festivities honoring Austin’s iconic underground newspaper. 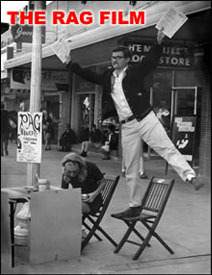 Photo by Belmer Wright published in The Rag, January 15, 1968. AUSTIN — Lt. Burt Gerding was the best known face of Austin’s Red Squad in the ’60s and early 70s. 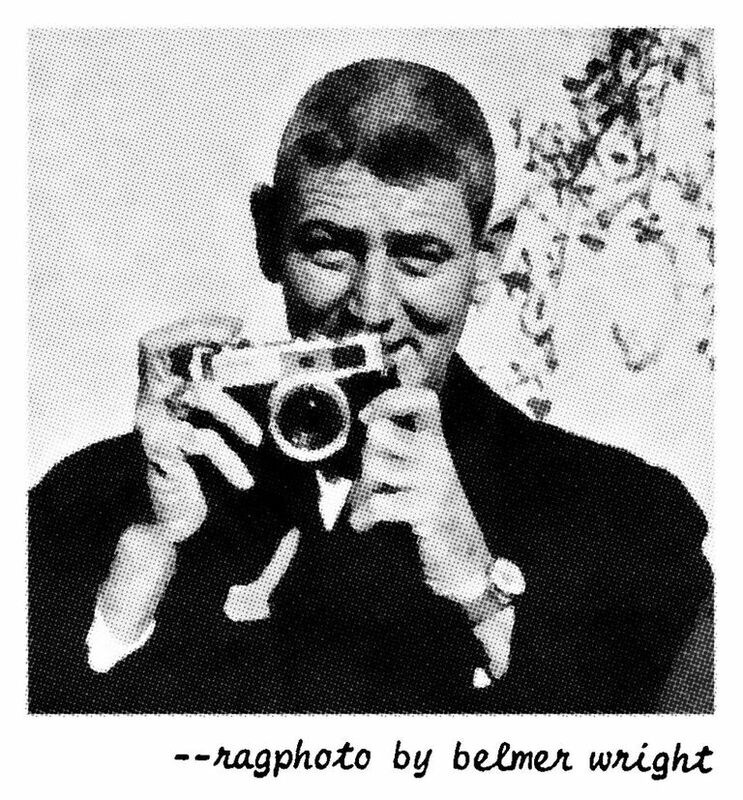 He was omnipresent, often with his camera as shown in the photo above by Belmer Wright. The following post, a brief description to accompany Wright’s photo, will be included in a book, Celebrating The Rag: Austin’s Iconic Underground Newspaper, scheduled for release in October 2016. 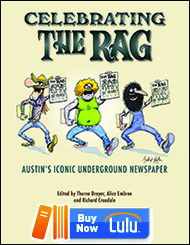 The book will be available at the upcoming Rag Reunion and Public Celebration of Austin’s historic underground newspaper, The Rag, that published from 1966-1977. 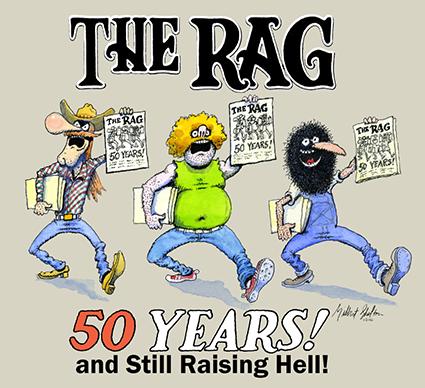 Celebrating The Rag will include more than 100 articles from the original Rag, accompanied by art and photography, including work by artists Jim Franklin, Gilbert Shelton, Kerry Awn, Trudy Minkoff, and Marie Valleroy and photographers Alan Pogue and Danny Schweers, as well as several contemporary essays reflecting on the history and impact of the paper. This is the second post of material to be published in the Rag book. 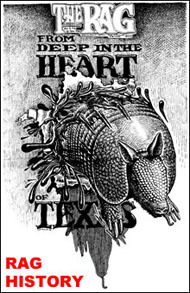 The Rag Reunion and Public Celebration, scheduled for October 13-16, 2016, will include exhibits, presentations and discussions, parties, a Gentle Thursday reunion, a concert at Threadgill’s restaurant and music venue, and much more. Learn more about it on our Rag Reunion page. 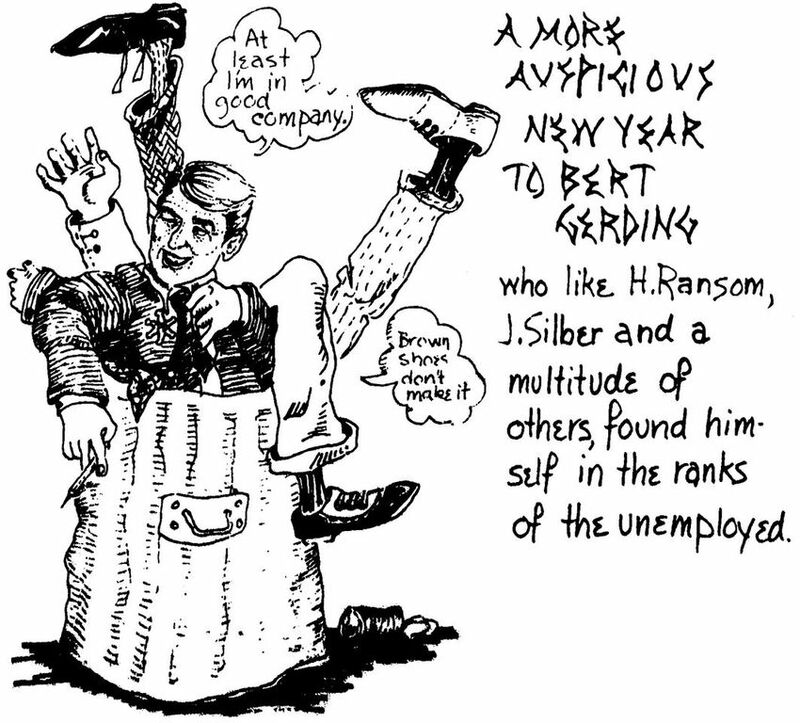 This cartoon about Bert Gerding was published in the original Rag on December 14, 1970, and will appear in a new book about the paper. Through FBI agent and friend George Carlson, Gerding worked with agents from the FBI’s secret Counterintelligence Program, known as COINTELPRO. The program was established in 1956 to ‘expose, disrupt, misdirect, discredit, or otherwise neutralize’ American political groups that were considered threatening or subversive. When Gerding left the Austin Police Department at the end of 1970 to join security efforts at Westinghouse Electric in Round Rock, The Rag celebrated with a cartoon. Burt Gerding died in 2013. This entry was posted in Metro and tagged 2016, Alice Embree, Belmer Wright, Burt Gerding, Celebrating The Rag, Metro Bloggers, Rag Bloggers. Bookmark the permalink. So, this is the inspiration of Notorious Norbert of the Nark Squad? Cool.